BlueTraker LRIT and SASS product range were once again displayed at one of the must-attend industry events – The Asia Pacific Maritime (link) (APM) exhibition in Singapore. With 1.432 brands from 60 countries and 15 thousand visitors, APM has always been a marketplace of ideas, innovation and to exchange deals. The exhibition which is rapidly gaining the status of one of the worlds’ premieres maritime happenings, closed on a high note with renewed optimism for the industry as it looks forward to a positive year ahead. 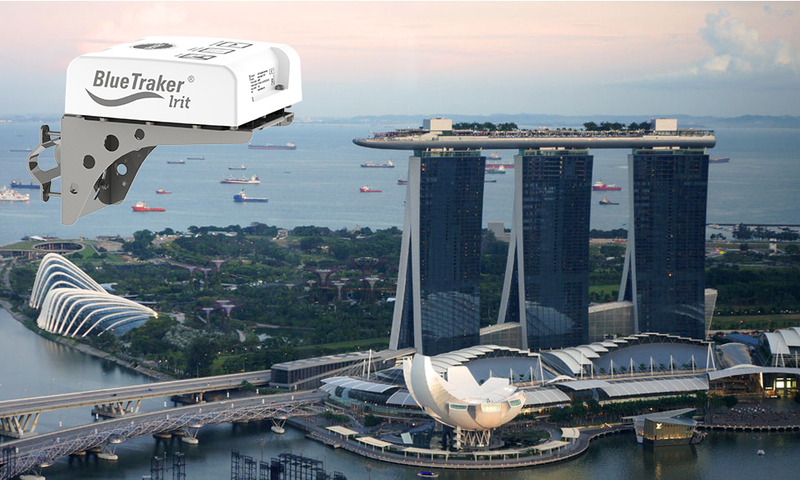 The BlueTraker product range in Singapore was represented and demonstrated by our distributor and distinguished business partner AMI Maritime. Not only are our BlueTraker Long Range Identification and Tracking (LRIT – link) and Ship Security Alert System (SSAS – link) terminals constructed to withstand the toughest marine environment, they are a reliable, cost-effective and well-proven solution with countless stellar references around the world. BlueTraker presence in South-Eastern Asia recently expanded to Vietnam where we successfully finalized a seminar with an emphasis on installation training for our terminals. 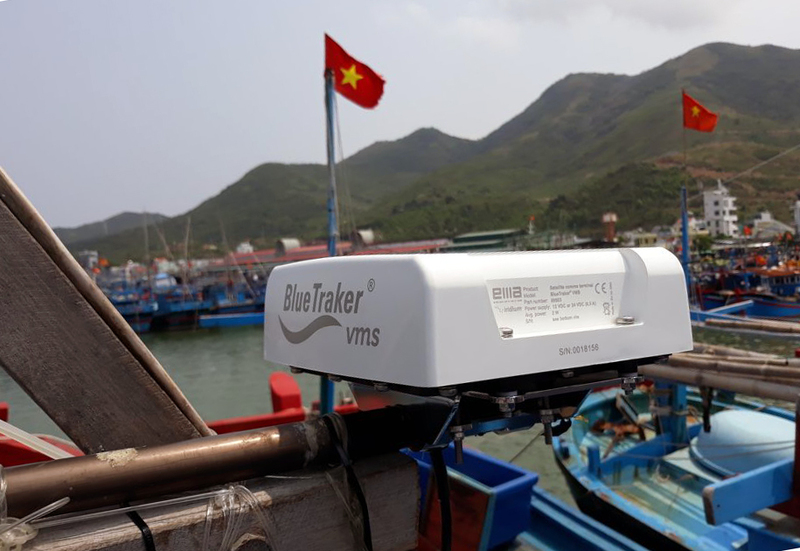 The three-day event where our engineers demonstrated a complete BlueTraker experience for novice users, from classroom lectures of functionalities of a terminal to a hands-on installation on a vessel with real-time monitoring, was hosted by Nha Trang University. With the help of our tech partners, attendees were introduced to the complete BlueTraker hardware portfolio and were demonstrated the features and software functionalities in real time. The highlight of the event was BlueTraker terminal installation on the vessel (link to video), starting with choosing the best position on the vessel for mounting the transponder and finishing with a presentation of the installed functionalities in real time in our SecondScreen web application. All installation training attendees received a special Certificate of Completion. With Asia comprising around 40% of the global maritime market and with projections of growth, BlueTraker products and solutions are in constant demand. Finally, we saved the best for last. Our wiring cabinet for electrical connections and power supply, the BlueTraker ConBox is once again coming of age and it’s time for a new, technologically superior generation to step in. We are excited to announce that while the ConBox 2018 remains the core connection interface (link –https://bluetraker.com/products/conbox-vms/ ), it will deliver a major upgrade of the functionalities, in particular, a visual LCD display of accurate vessel position (LAT/LON) and alerts – all in real time. The standard features of the ConBox such as an alert button and information about fishing/in port/repair activity status are still there. What we think makes ConBox 2018 particularly technologically advanced, user-friendly and built exclusively for in-cabin use is having all the visual information at a glance when one needs it. In addition to standard features, we are talking about satellite connection, various alerts status, unauthorised fishing activities alarm etc. Hundreds of nautical miles in the open sea this vital information does not only significantly improve the overall user experience but inevitably leads to making faster, better and well-informed decisions. With the customer in mind, ConBox can be customized and personalized to the specifications and needs of the respective country regulations. What’s more, the flexible design of the ConBox 2018 allows existing installations to be upgraded in a cost-effective manner. ConBox 2018 is coming soon. Want to know when? You’re invited to visit our website regularly and subscribe to our newsletter for frequent news and updates. Should you feel more comfortable inquiring in person, our sales team will gladly answer all your questions. Contact us at [email protected].